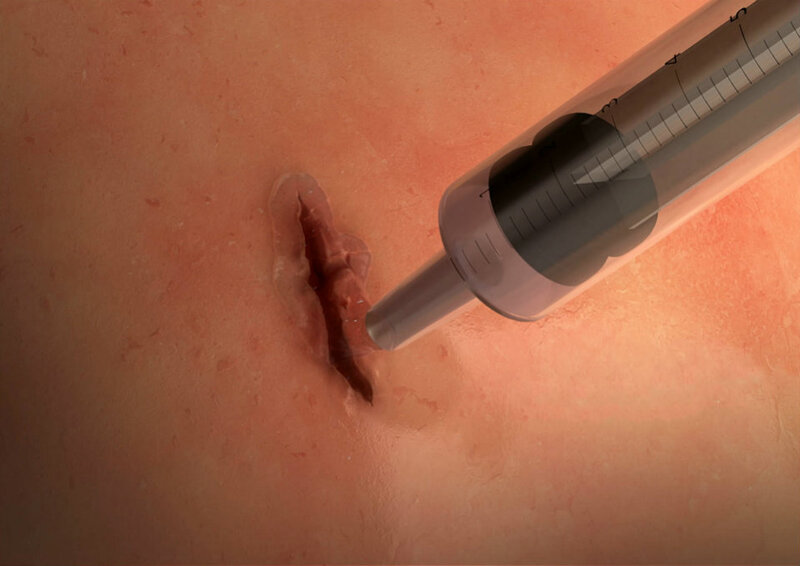 MeTro surgical glue is squirted onto wounds and treated with light to provide an air-tight or liquid-tight seal. The compound can be fine-tuned for flexibility and length of time it remains on the wound before harmlessly dissolving. Credit: University of Sydney. So far, MeTro has been tested in animal models and has been used to successfully seal experimental incisions in the arteries of rodents. It also performed well in experiments sealing experimental lung incisions in both rodents and pigs. Additional senior scientists co-leading the international collaboration with Khademhosseini are Anthony S. Weiss, Ph.D., Professor of Biochemistry and Molecular Biotechnology, School of Life and Environmental Sciences, University of Sydney, Australia, and Nasim Annabi, Ph.D., Assistant Professor of Chemical Engineering, Northeastern College of Engineering, Boston, Massachusetts. The work was supported by grants EB023052, EB022043, EB021148, and EB014283 from the National Institute of Biomedical Imaging and Bioengineering, and grants from the National Institute of Arthritis and Musculoskeletal and Skin Diseases, and the National Institute of Dental and Craniofacial Research at the National Institutes of Health. Additional funding was provided by the Australian Research Council, the American Heart Association, Interdisciplinary Research Seed Grants from Northeastern University, and the German Heart Foundation.